Christmas Mountain, located in the Wisconsin Dells, is a great ski and snowboard resort for learning. Christmas Mountain has a variety of beginner, intermediate and advances terrain as well as three terrain parks. Christmas Mountain’s experienced instructors can help you or the kids learn how to ski or ride in a relaxed, stress-free environment. The resort has a number of lodging amenities, ranging from log cabins to townhomes. Ski shop, ski patrol, ski and snowboard lessons including children's programs, rental equipment, spa & exercise room, game room, indoor pool, lounge, and restaurant. 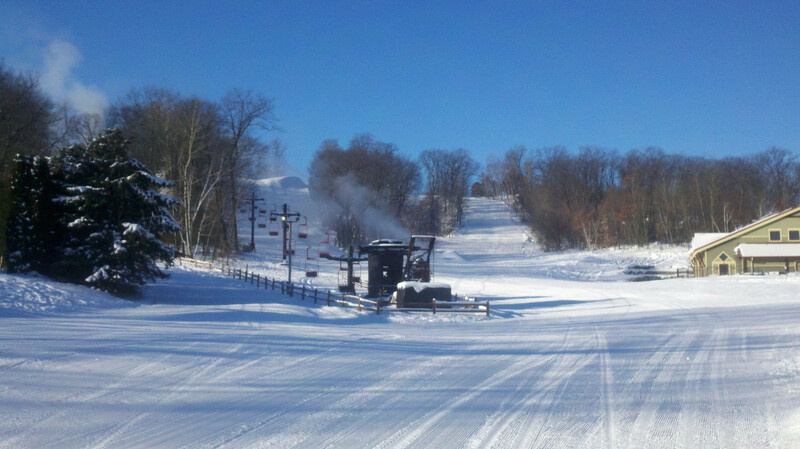 One hundred percent snowmaking. Get Snow Reports, Powder Alerts & Powder Forecasts from Christmas Mountain straight to your inbox! Northeast skiers & riders received a holiday bonus with natural snow accumulating on mountains throughout the entire region.